17 South to exit for 4 West. Merge onto 4 West. Follow signs for Route 208 N (Oakland). Follow 208 N to Lincoln avenue exit (next exit after DeBoer drive). Make left at the stop sign and follow Lincoln avenue to end (Citizen's Park). Make left onto Godwin avenue. 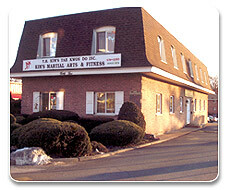 Follow Godwin avenue to Kim's Martial Arts & Fitness Center. Parking is on left. Follow exit for Rt 4 West. Follow Rt 4 West direction. Follow 208 N to Lincoln avenue exit. Make a left at the stop sign. Follow Lincoln avenue to end (Citizen's Park). Make left onto Godwin avenue. Follow Godwin avenue to Kim's Martial Arts & Fitness Center. Follow 208 S to Goffle Road exit (Midland Park). Follow Goffle road to last light. Merge right onto Godwin avenue. 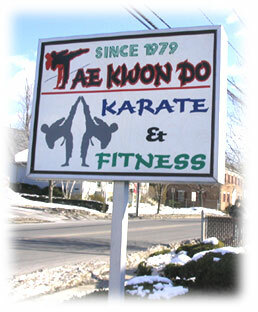 Follow to Kim's Martial Arts & Fitness Center. Parking is on right. Follow Rt 287 S to exit for Rt 208 S. Follow directions for 208 S.